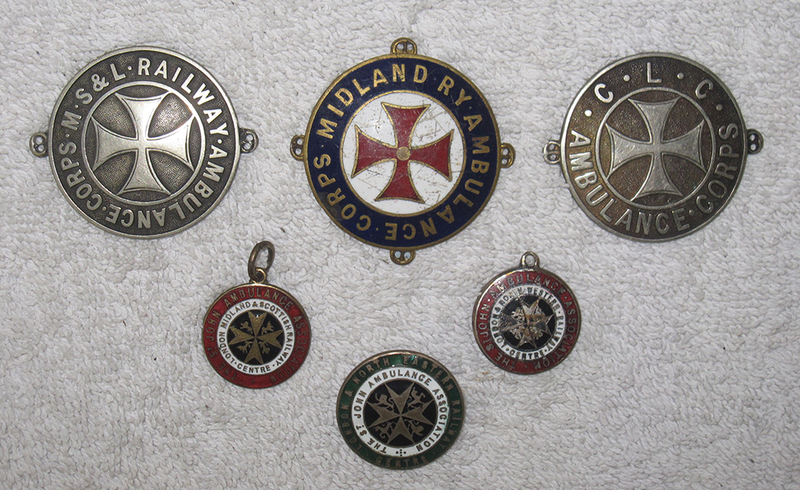 A Lot Containing 3 Large St John Ambulance Badges M.S&L Rly, Midland Rly, C.L.C Rly. Together With 1 X LNER St Johns Ambulance Lapel Badge. 1 X LMS St Johns Ambulance Medal And 1 X Double Sided LNWR Medal. All Excellent Condition. 6 Items.